This event "Home Again" @ Prince Charles has already ended on 08/17/2018. Here you can find upcoming events for this location! The deadline at our lottery has ended on 08/16/2018 at 6:00 PM. 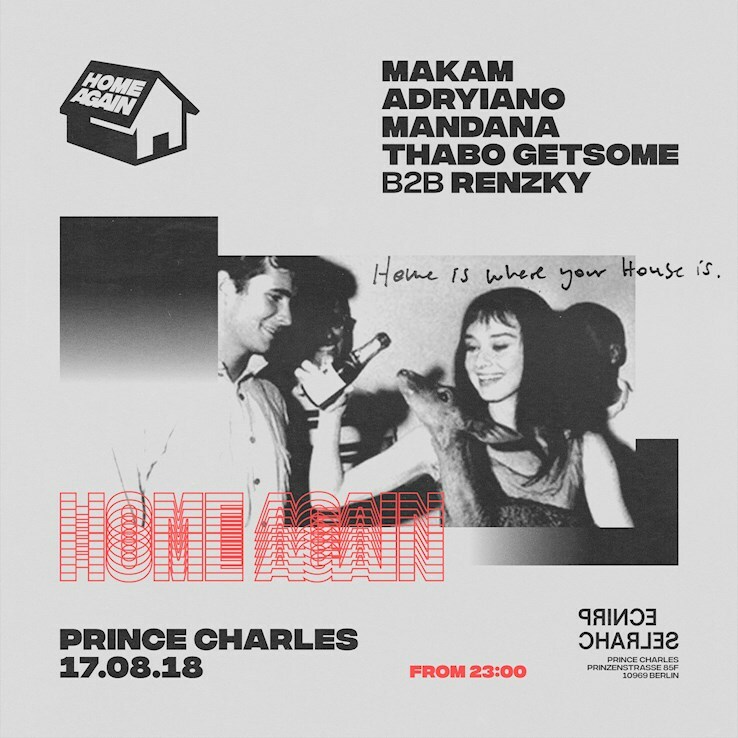 With Prince Charles „home again“ has found its perfect place for its housy approach and family vibe. For its first edition former Trouw resident and Dekmantel ambassador Mama makes is appearance. He will be joined by Adryiano, who’s latest releases on Heist and Shall Not Fade made quiet an impact in the global house scene. Desolat member Mandana makes her way from Brussels to join this special night. The residents Thabo Getsome and Renzky are looking forward to welcome this bunch of great artists to be home again.